Dry eye syndrome is a chronic lack of sufficient lubrication and moisture in the eye. This is caused when the eye doesn’t get enough tears, or the tears have a chemical composition which causes them to evaporate too quickly. Symptoms can include persistent dryness, scratching and burning in your eyes and the feeling that something is in your eye. Dry eye syndrome has many causes. It occurs as a natural part of the aging process, especially during menopause; as a side effect of many medications, such as antihistamines, anti-depressants and birth control pills; or environmental factors. Dry eye syndrome is an ongoing condition that may not be completely curable (depending on the cause), but the symptoms can be managed. Lubricating eye drops (artificial tears), gels and ointments are available as well as other treatments which our Optometrists will be happy to discuss with you. Myopia tends to first develop during adolescence as the eye grows to full adult size. Myopia occurs because of a complex interaction of hereditary factors and environmental near point stress factors which cause spasm of the eye focussing muscles. “Visual hygiene” is extremely important in Myopia management (see Resources page), but visually significant Myopia is corrected with either contact lenses or glasses. Myopic spectacle lenses are thickest at the edge, but new spectacle lens technologies have been developed to produce thinner and lighter lenses so even the highest prescriptions will now have good cosmesis. Hyperopia means a person can see more easily at far than at near. In some age groups a prescription for hyperopia often works to relieve the strain, rather than clearing the vision. This can be provided with glasses or contact lenses. Astigmatism occurs when there is an out-of-roundness of one or more surfaces in the eye’s optical system. Visually significant Atigmatism can be corrected with glasses or contact lenses. Presbyopia is a gradual loss in the focussing ability (accommodation) of the eye and is part of the normal vision changes we all experience with aging over time. This is caused by a natural hardening of the eye lens, so that by the early 40’s the lens does not respond as well to the muscles intended to change the focus of the eye. As a result, people in this age group start to have difficulty with near tasks like reading small print, threading a needle, etc. This is especially true at the end of the day when lighting levels are poorer and the individual is more likely to be tired. Correction options include reading glasses, bifocals or multifocal (progressive) lenses. Contact lenses are certainly an otpion for presbyopia now too. While there is presently no cure for Macular Degeneration, there are steps that you can take to prevent or slow the progress of the disease and our Optometrists will be more than happy to discuss this with you. Amblyopia occur when there is reduced vision, generally in only one eye, even when the best optical correction is being worn. The condition usually results from poor eye co-ordination, from having a turned eye, or after having one eye which requires a far greater lens power than the other. The reduced vision occurs because the brain tends to ignore the poor quality image it recieves from the affected eye. When detected early enough, treatment including patching, Vision Therapy and glasses or contact lenses, may help to reverse or prevent permanent vision reduction. Eye muscle inco-ordinations (known as ‘phorias’ in mild cases, and ‘strabismus’ when more severe) occur when the eyes do not align or focus together as a team. This improper control of the eye muscles can result in crossed-eyes, poor focussing ability, or simply discomfort and headache from the extra effort required. Common treatment options include glasses or contact lenses and Vision Therapy. Sometimes therapeutic glasses will be recommended incorporating, prisms, bifocal or progressive lenses. For more information on phorias and strbismus, including an animated example, please click here. The eventual “cure” is surgical removal of the lens with cataract and replacement with an artificial lens (intra-ocular lens implant). Typically this is done as a day-procedure under topical anaesthesia with no sutures or stitches required. Laser-assisted cataract surgery is also now an option. A pterygium results from irritation due to long term exposure to ultra-violet light (UV), wind, glare or dust. Treatment involves wearing UV protective eyewear, with eye-drops to minimise irritation. If the pterygium is extending onto the more central part of the cornea whereupon it may start to affect the sight, then surgery may be necessary. 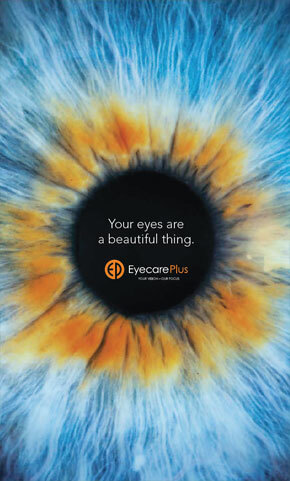 They can be caused by debris left over from before birth, and they can occur as part of the eye’s natural aging process, bu they can also result from injury or eye disease. Recent onset spots or floaters require a full eye examination to determine the cause and whether any follow-up is needed. As a result, about 8% of males and less than 0.5% of females have colour vision deficiencies. Almost all colour deficient people do see most colours but they will have difficulty identifying particular ones, confusing certain shades of red and green for example. As children, few of these people will be aware that they have a colour vision deficiency but the detection of these problems is important since many educational materilas are colour coded in the eraly school years and colour vision is important when career choices are being considered. It is normal for our eyes to be long-sighted at birth. This usually reduces as the eye grows to full adult size during adolescence. It is then in the teens that short-sightedness tends to develop, if at all. After a relatively stable time in the 20’s and 30’s, another significant time for change begins in the 40’s. This involves a gradual loss in the ability to finely focus the lens inside the eye. The result is a totally normal and expected change called “presbyopia”, which continues into the 60’s. Your Optometrist will advise you of the interval between eye examinations which is appropriate for your vision and eye health needs. This time interval does vary for different situations, so we contact our patients when their next routine check is due. Changes in vision and eye health are often quite slow and subtle, and can easily go unnoticed if not checked regularly. As a general rule, you should have a routine eye examination every two years. Of course if a problem arises sooner, or you have any concerns about your eyes or vision please make an appointment so that we can assess the situation for you.